The 2019 Honda Civic sedan is sleek, efficient, and laden with safety and entertainment features the whole family will love. You can test drive and purchase the new 2019 Civic at St. Albert Honda. The 2019 Honda Civic is available in the following trims: DX, LX, EX, Sport, Touring, and Si. The new Honda Civic is available with two engine options. The Civic is powered by a 2.0-litre four-cylinder engine that produces a horsepower of 158, but you can also opt for the 1.5-litre turbocharged direct-injected four-cylinder, which can deliver 174 horsepower. The standard transmission is the six-speed manual, but the Civic is also available with a continuously variable transmission (CVT). To save on fuel, you can make use of Eco Assist™, which is activated with the press of the ECON button, which makes your engine and other systems run more efficiently. The Honda Civic has been designed from the ground up with safety in mind. Key safety features include the four-wheel Anti-lock Braking System, Electronic Brake-force Distribution, Brake Assist, Vehicle Stability Assist (VSA®) with Traction Control, Hill Start Assist, the Advanced Compatibility Engineering™ (ACE™) body structure, six standard airbags, the available HondaLink™ Assist Automatic Emergency Response System, three-point seatbelts, and more. Honda Sensing™ technologies further enhance safety by working to help prevent collisions. These technologies include the Collision Mitigation Braking System™ (CMBS®), Adaptive Cruise Control (ACC), the Lane Keeping Assist System (LKAS), the Road Departure Mitigation (RDM) system, the Lane Departure Warning (LDW) system), and the Forward Collision Warning (FCW) system. Other technologies for the 2019 Honda Civic include the available 7-inch display audio system with Apple CarPlay™ and Android Auto™ compatibility, the available proximity key entry system with pushbutton start, the multi-angle rearview camera, and available wireless charging. 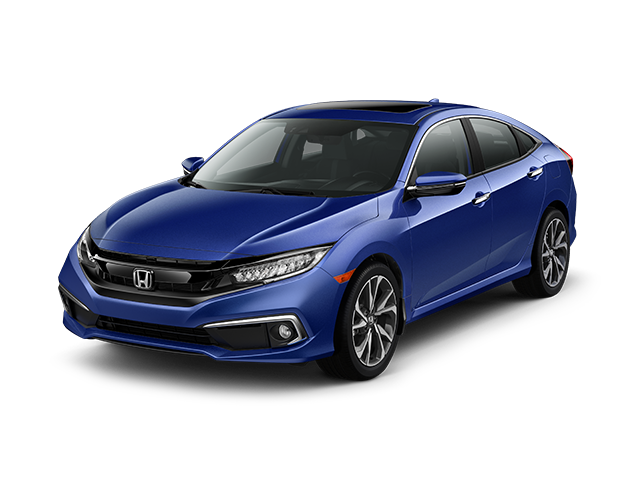 Learn more about the 2019 Honda Civic at St. Albert Honda.